There is “NOR-way” you could find a better way to celebrate the beginning of the two best years of your life than by venturing to Scandinavia to hike on the incredible blue ice flows of glaciers, kayak through UNESCO World Heritage site fjords, and mountain bike through fjord valleys. You could even “Swee-den” the deal by partying in the globally recognized cosmopolitan city of Stockholm! All of your trek leaders couldn’t have imagined a better way to kick off their Ross MBA lives than MTrek, and want to pass this love and passion along to you. From Christie’s motherly instincts and love of bourbon, to Casey’s deep connection to Taylor Swift, to Michael’s ability to see over and through crowds and love of all things Big Ten, to Maniesh’s Michigan roots and mastery of EDM beats, to Celia’s love of all food and craft beers, we know that our combined skills and passions will guarantee a trek through Scandinavia that will be one of the best trips of your life. Now that Orientation and Impact Challenge are behind you, the celebration begins! 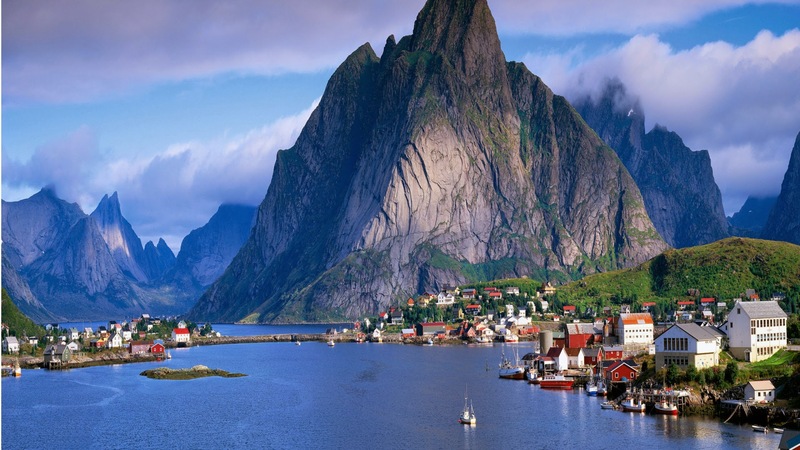 Meet your fellow trekkers, and future Viking comrades, in Ann Arbor and head to the airport to catch flights to the beautiful and tall (people and scenery) of Scandinavia. Land in Bergen, Norway, where your trek leaders will be ready to initiate you as official Ross MBAs. We will all hop over to the Bergen Central train station and catch a train through the fjord region to Voss. Once we arrive, we'll settle into our hotel, overlooking the Vangsvatnet Lake, and toast (some/many) drinks to the beginning of our Nordic escapade! Yesterday you were only a new MBA. Today you will learn how to traverse the glacial lands of Scandinavia like your Viking ancestors. Our guide will meet us in the morning at our hotel and accompany us on a bus ride to Jondal, where we will embark for a hike on the impressive Folgefonna Glacier. Our guide will lead us over a mix of calm, flat ice and scenic crevasse areas. At the peak of our trip over incredible (GO) BLUE ice flows, we will have vistas over the North Sea and the greater fjord region, and you will be entertained with tales of past Nordic adventures and stories about the region. After the hike we will return to our base in Voss to recharge with an evening meal and a bit of MAIZE RAGE! After charging up on a breakfast smorgasboard, our guide will be waiting for us at the train station to join us for a full day of fjordyhands exploration via train, mountain bike, kayak, and jet boat. The journey begins by boarding a train through the Raundal Valley to Myrdal, and then to the Flåm Railway, the steepest train goinggg an-yyyy-where (in Northern Europe)! Once we step off the train in Berekvam, mountain bikes will be waiting for us for a downhill (yes, downhill only) trip on the Flamsdalvegen to picturesque Flåm, with amazing views of Aurlandsfjord all the way down. Once we arrive in Flåm, we will head to the renowned Aegir Brewery for a tour, beer tasting and quick lunch. After becoming local beer connoisseurs, a kayak guide will kit us up and take us on a sea-kayak tour in the amazing Aurlandsfjord, passing beneath towering mountain-sides and witness the nature and landscape of this magical place. You will paddle back to where you started, and then transfer to a fast jet boat James Bond style on a fjord safari through World Heritage areas of Aurlandsfjord and Nærøyfjord. We return again to Voss to enjoy the night and teach our local friends how to sing "The Victors". Today we will explore all that Voss, Norway's adventure capital, has to offer. We will immerse ourselves in local Viking culture by exploring some ancient local architecture and then the lighter side of Voss at the Minigolfen Pub & Cafe for some mini golf and karaoke competitions (loser takes Fireball shots). We will finish the day barhopping in Voss and spreading Michigan cheer throughout the land on our last night in Voss. We depart Voss this morning via train back through the fjord region to Bergen. Before our flight to Stockholm, we will have a few hours to explore the colorful Bergen, the "gateway to the fjords". We'll catch an evening flight to Stockholm, and upon arriving in Stockholm in the late evening, dive into the Swedish ice bar scene. Explore Stockholm, the "Venice of the North", via a guided bike tour and using our city cards to freely travel the city and its amazing network of 14 islands. Our day will continue deep into the night as we island/bar hop loving the cosmopolitan nightlife. Savor the memories on our last day in Scandinavia. Become a Swedish Chef...bork, bork, bork! We'll be getting a private cooking class leading up to stacks on stacks on stacks of rhubarb consummé with licorice semifreddo and wine. Oh you fancy huh?! Then reminisce on the best week of your life before forgetting it all on our last night out. Eat Sleep Ross Repeat. Time to fly home to "Ann Arbaugh," home of the Wolverines and Saturday khakis. Follow in the footsteps of your leaders at The Big House, Bus, Skeeps, Rick's, NYPD, and Ashley's with your new family for a fantastic two years.